Kind of a different topic. So, funny books. Most of the books I read have some humor in them, which I love because it keeps me engaged. 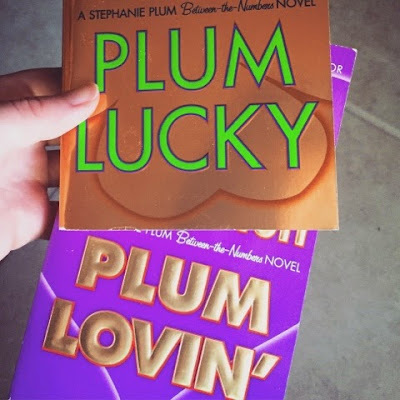 Plum Lovin' and Plum Lucky by Janet Evanovich. I like her books Ailey because they make me laugh. I always work in time to read a couple of her books here and there when I need something funny.